Ever gotten stuck in a brainstorming session? Ever had egos get in the way of teamwork? Taking lessons from improvisational theatre, this workshop will teach you the basics of supporting each other, teamwork, and the generative flow of ideas that will make you a better designer. We’ll start with the basics of “yes and” and supporting each other, and then apply these principles to prototyping exercises that will take your brainstorming to the next level. This workshop is fun and interactive, so come ready to try something new! Kat Davis is an interaction designer with a passion for design research and elegant user experiences. Since joining frog in 2012, she’s worked with a variety of Fortune 100 companies, start ups, and NGOs on projects ranging from talent management software to new product development. Her work has been featured in the Wall Street Journal and Fast Company. She draws on her extensive international experience to provide insights into the diverse challenges faced by frog’s global clients. Outside of work, Kat can be found delighting Seattle audiences with improvisational comedy. 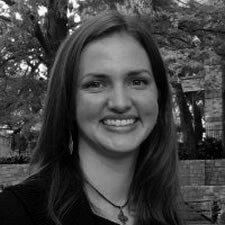 Kat has a Certificate in Interaction Design from the Austin Center for Design and holds a BA in Philosophy and History.